The Trades Halls of Glasgow, Glassford Street, Glasgow. The aim of the website is to enable those with an interest in the Trades House and the 14 Incorporations to view the interior of the Halls, the artefacts used in the Trades House, the names and images of many of the Deacons and Visitor and the names of past members of the Incorporations etc. The site will also be useful for those involved in Genealogy or have an interest in the history of Glasgow. 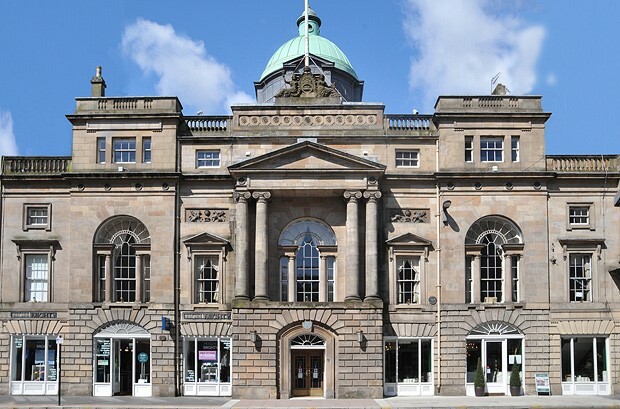 Those wishing to become a friend of the Trades House will also have the opportunity of doing so or they may wish to join one of the 14 Incorporations. For further information on membership please click on the MEMBERSHIP LINK. For guidance on membership please click on the Contact Us page on this website. It is not necessary to be a Glaswegian or even British to join an Incorporation or become a Friend of the Trades House.. The books Burgesses and Guild Brethren from 1573 to 1750 and Burgesses and Guild Brethren from 1751 to 1846 are invaluable books for tracing anyone who became a burgess over the time frame specified. Both books have been digitised by the Trades House of Glasgow and may be downloaded for non profit private study. For further reading, please visit the Digital Library page where a number of books about the Incorporations can be found.